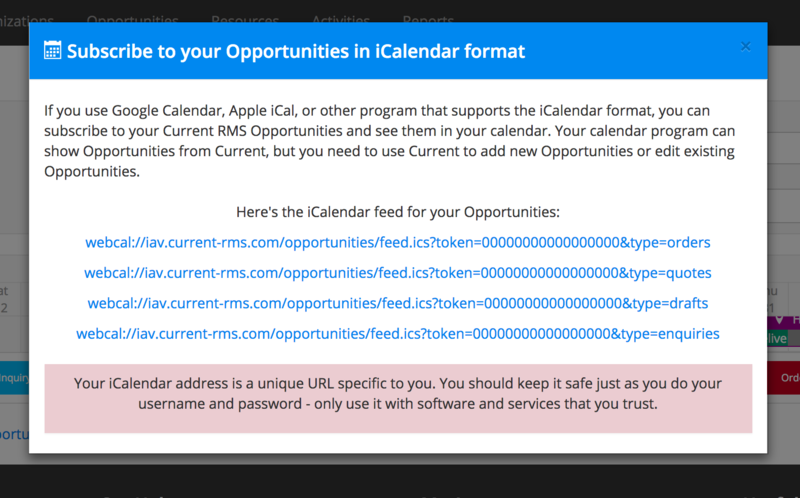 The long links on this screen are your iCal feed links. There are four, one for each type of opportunity: orders, quotations, drafts, and inquiries. Copy the link you’d like and subscribe to it in your calendar app, or pass it onto a contact to do this in their calendar.